Just a few days ago the first alleged live images of the Mi Mix 3 appeared online, showing off a new design approach that favored evenly distributed bezels instead of the prominent chin featured on previous devices, although no front-facing camera was visible. If a leaked teaser is anything to go by, however, the reason behind this may have just been revealed. Although the poster in question is pretty simple, it does contain the silhouette of a smartphone that clearly sports a pop-out module up top, suggesting Xiaomi will opt to include a moving part on its next Mi Mix device in a bid to reduce the overall size of the bezels. 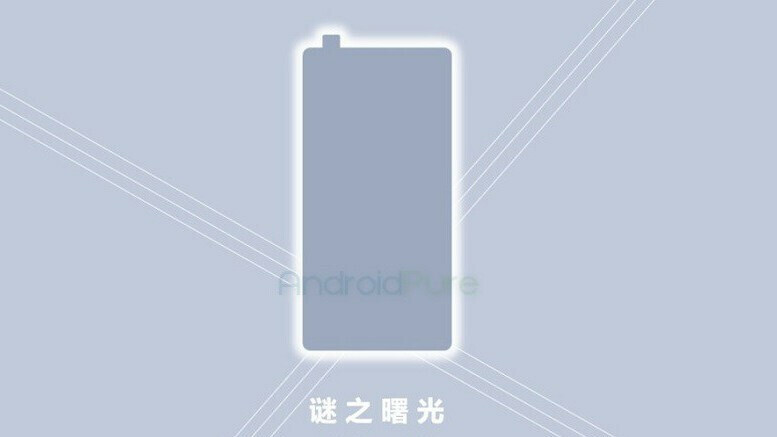 Furthermore, accompanying the phrase “The light of Mi” is what looks set to be the announcement date, which is listed as September this year. No specific date within the month is mentioned, although it shouldn’t be too long before the company announces one. In any case, though, Xiaomi looks set to face tough competition from a number of brands during that time period such as Apple with its new iPhone lineup, LG with its V40 flagship and potentially Sony with its updated Xperia XZ3. As with most of its upcoming competition, the Mi Mix 3 is expected to ship with Qualcomm’s Snapdragon 845 on the inside and possibly 8GB of RAM and 256GB of internal storage. Furthermore, a dual-camera setup is expected to make a return on the rear while, on the software side of things, Android 9.0 P along with Xiaomi’s MIUI 10 overlay seems to be the most likely candidate when the release date is taken into account. Lastly, on an added note, the rear fingerprint scanner featured on the Mi Mix 2S may be removed in favor of a new in-display one. Copying is easier/cheaper than creating.. First Sharp, then Apple, now Vivo..
Look around you...there's a reason everyone is using the same ideas and features because smartphone innovation at a hardware level is at a plateau right now. I know, but even the design or X rear camera? Do they believe with a phone that looks like X they can steal Apple's clients? What about the LG Optimus 3D MAX. The iPhone X has copied that design. Apple isn't a better innovative company but it makes things interesting again. Xiaomi is copying the iPhone X with the Mix series? Please give me some of what you've been smoking. They aren't even copying the Vivo Nex with the pop-up camera as they patented their version back in 2015. Xiaomi and Apple customers are completely different. Value and innovation versus empty hype in my opinion. Look at the camera.. Both have traffic light design with led flash between the cameras. Was this necessary? Why not like Mi6? Except the bottom bezel, whole body of Mi8 is equal to X. Putting the flash between 2 cameras is not something unique. We're talking about the Mix here but I agree the Mi8 is an embarrassing copy. As for the cameras, there are very few camera layout designs and positions that can be used and Apple aren't the first to use that particular layout, so I disagree with your point. Their sales say Yes! Btw I can get the chin will still be bigger! Huh? Go to GSMArena and read the review of the Nex. I was going to buy one until I saw that article. I wonder if they'll get this sucker to at least 95% screen to body! That'll be nuts! They can easily use bigger screen to achieve higher STB %. Bezel remains the same, so as screen goes bigger the STB goes as well. Not a fan of the pop up camera. Will wait to see how well it holds up over time, otherwise this is looking good Xiaomi.